The web server with the IP-address 46.30.212.162 used by Calescowaterbedheaters.se is run by One.com A/S and is located in Denmark. 21 other websites are located on this web server. Most of them are provided in the english language. 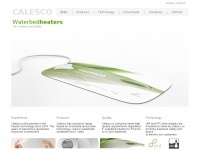 The websites of Calescowaterbedheaters.se are served by a Apache server. The HTML pages were created with the latest standard HTML 5. Both the inclusion of the website in search engines and follwoing of its hyperlinks is explicitly allowed.